Programs offered by pharmacies are designed to be a fast and easy way to get the medicine you need. But you may be signed up for the refills and not even know about it. Automatic prescription medicine refill programs offered by pharmacies are designed to be a fast and easy way to get the medicine you need. But you may be signed up for the refills and not even know about it. 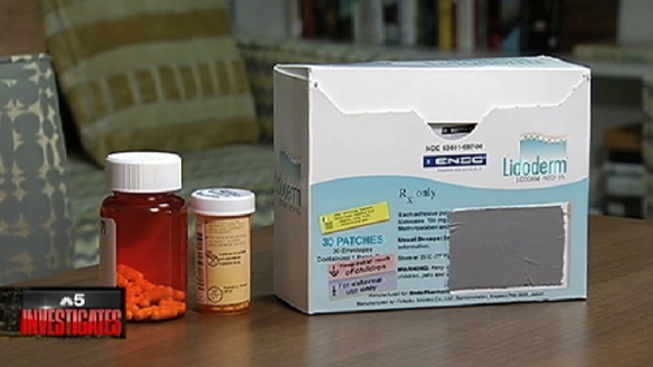 Norman Eisenberg said he was surprised when his caregiver returned from the pharmacy with the medications he needed, plus a box of pain relief patches he said he did not want. Eisenberg said the co-pay for 30 patches is $70, which he said is a "big price". Eisenberg called the pharmacy for an explanation. "They told me that their policy was they call periodically and ask if they want their prescriptions refilled and if people don't answer the phone for two or three times they just automatically go ahead and fill the prescription," Eisenberg said. The National Association of Boards of Pharmacy, based in Mount Prospect, calls automatic prescription refills a good concept because it can help patients with compliance and adherence. "So they take their medications on time and don't miss a dose," director Carmin Catizone said. However, Catizone said auto refill programs are not without issues. "If patients don't want the auto fills or if pharmacies just automatically implement that system and patients receive medications that they don't want or shouldn't receive, then we've got problems with patients being confused," Catizone said. Pharmacist Joe Zorek worked for CVS for 30 years and filed a whistleblower lawsuit after he said he was punished for complaining about problems he says he witnessed. "The problem we ran into though is filling prescriptions that weren't necessary," Zorek said. For example, Zorek said a patient may only take a medication at a certain time of year. "If these things are just being automatically refilled for you, it causes more problems." According to Dr. Sidney Wolfe of the consumer and health advocacy organization Public Citizen, it could be considered a false claim if an insurers like Medicare or Medicaid pay for something not delivered. "If they never got it the government is paying for something that didn't possibly have any benefit to the patient so that is a false claim," Wolfe said. "It's fraud and it could be prosecuted." CVS received a subpoena from federal investigators requesting information concerning its automatic refill programs. In a statement, CVS said its "ReadyFill is a free, opt-in service that helps people stay on their maintenance medications as prescribed in order to reduce the risk of deteriorating health and avoid more costly health care treatment. Only prescriptions that are intended to treat chronic disease and have refills remaining are eligible for ReadyFill. Once enrolled in this program, patients can stop the service for any of their medications at any time. We have strict procedures and processes in place to ensure that we are only paid by insurers for those prescriptions that are picked up by our patients." Walgreens said "auto-refills are a convenient service that has proven instrumental in helping patients achieve greater medication adherence and better overall health." "These are opt-in services only, and patient consent is required for enrollment in any of our auto-refill programs," wrote Walgreens spokesperson Markeisha Marhsall in an email to NBC 5 Investigates. Walgreens said patients are only charged for prescriptions when they are picked up at the pharmacy. The company said in the event an insurer is billed for a prescription that a patient fails to pick up, the claim will be reversed (and the insurer reimbursed) once the prescription is returned to stock. Eisenberg said he received a refund from his pharmacy and requested that he be taken off an automatic refill list.